Is your day slipping by without prayer? Do you keep waiting for the perfect time or some peace and quiet? In the midst of the busyness, the stress, the to-do’s and the to-don’ts, those moments never seem to come. But they don’t have to. God gives us moments throughout our daily chaos to call out to him. We simply need to recognize them. When we do, prayer is no longer something we try to work into our day. It becomes our day. 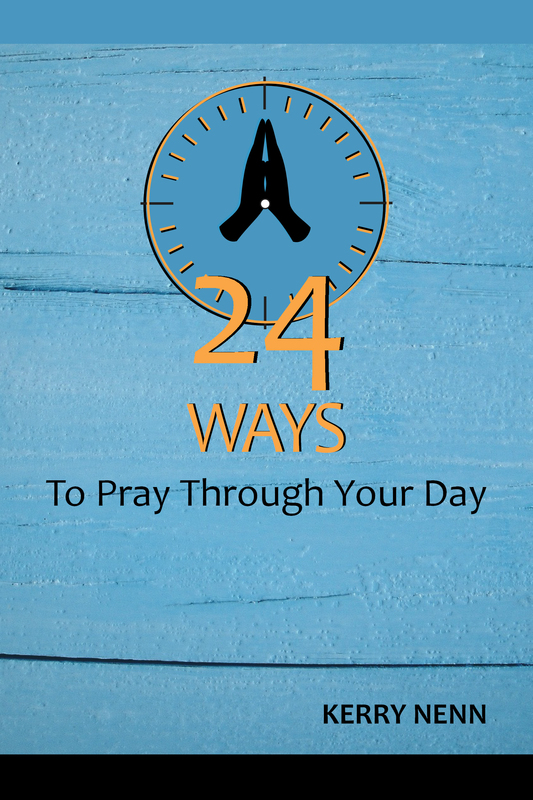 24 Ways To Pray Through Your Day gives insight into these prayer opportunities and teaches readers two dozen ways to transform each moment of the day into time with God. I am so excited about this latest opportunity God has provided! If you or someone you know is looking for a transforming prayer tool, please check out my new book. Visit the 24 Ways Facebook page to see what others are saying and share your own prayer experiences.